The Virgin Islands is the western island group of the Leeward Islands. With a population of 103,574 this Caribbean destination is inhabited mostly by Afro-Caribbean people. The Virgin Islands is the perfect opportunity for relaxation surrounded by tropical beaches, and for island hopping. Popular attractions include Blackbeard’s Castle in Charlotte Amalie and Lindquist Beach in Red Hook. Cheap flights to Virgin Islands are now available for a limited period of time, so prepare to be amazed by this island destination. St. Thomas is home to Cyril E. King Airport (STT), located on a 10-minute drive from Charlotte Amalie’s city centre. Cyril E. King Airport serves a multitude of airlines, including American Airlines, Delta Air Lines and SeaBorne Airlines. Popular connecting flights depart from Johannesburg and Cape Town. Flight duration from Johannesburg is approximately 22 hours and 40 minutes. The drawing card to this Caribbean destination has to be the bountiful islands to explore. The U.S territory possesses around 50 islands and cays, including St. Croix, St. John and St. Thomas. Tranquil turquoise waters allure your imagination! An interactive marine experience awaits at Coral World Ocean Park on the island of St. Thomas. 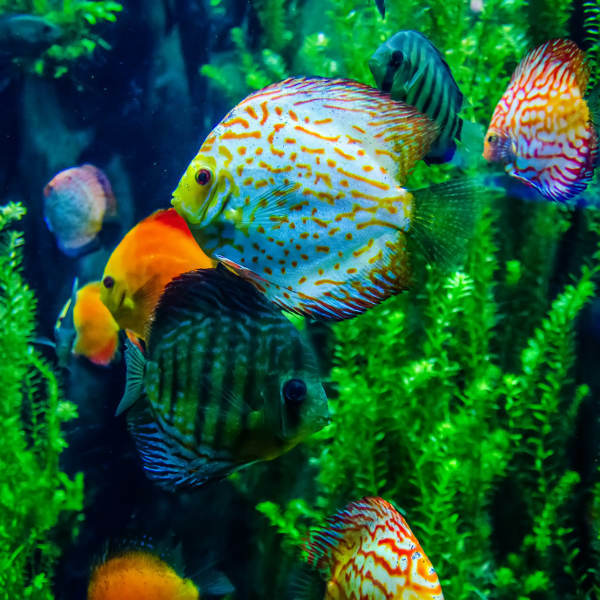 It is an entertaining park which features a tropical nature trail, the Marine Gardens Aquarium and an underwater observatory. St. Croix is home to a full-service casino, on the grounds of Divi Carina Beach Resort. 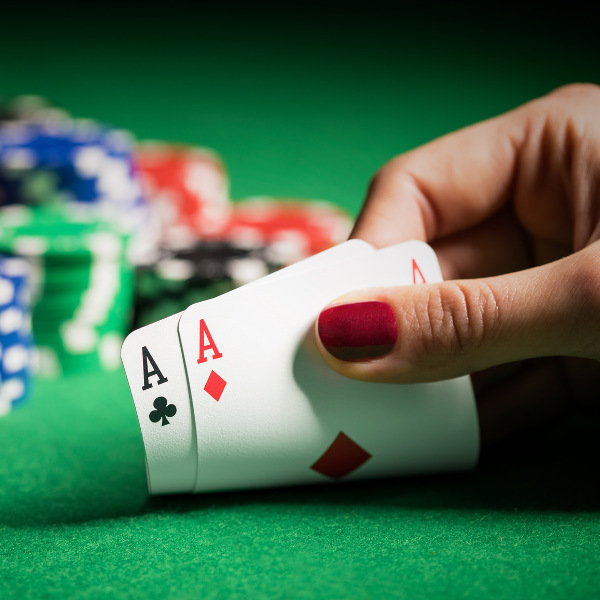 For some gambling fun, make your way to this vibrant place for a night or day of blackjack, craps and Caribbean stud poker. The Virgin Islands enjoys plenty of sunshine with most days reaching above 20 degrees Celsius. Winter is considered the dry season on the islands, be wary of tropical showers that can occur year-round. Hurricane season in the Caribbean lasts from June to November, so these months would be best to avoid. Winter (mid-December to mid-April) is also the peak season as its geographical location affords the island sun-filled days year-round. Temperatures average around 30 degrees Celsius in the capital city of St. Thomas, Charlotte Amalie. The off-season (May – November) is the best time to visit for cheap flights and accommodation on the islands. 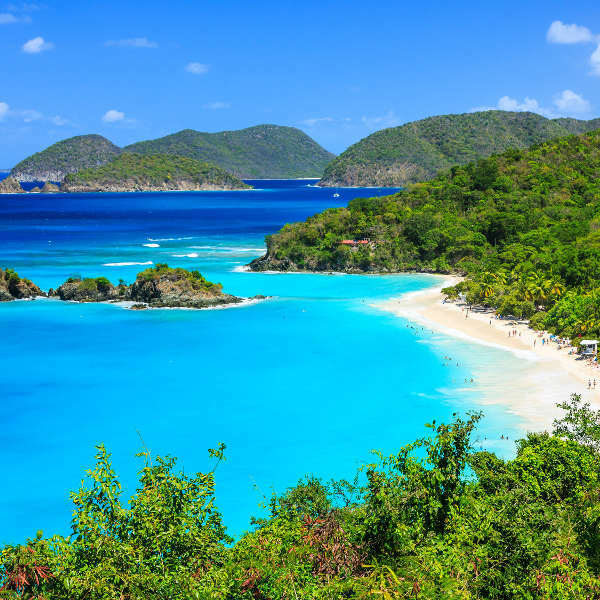 The U.S. Virgin Islands conjure up rejuvenating imagery of white-sand beaches, palm trees and turquoise seas. Fun is sure to follow on your vacation in one of the world’s most beautiful destinations. With so many activities to choose from it will be hard to want to return back home and you may find yourself looking for a permanent home on one of the islands. Prepare for a tranquil holiday filled with plenty of relaxing and the inevitable immersion with the Caribbean’s profound nature. St. Thomas is the most cosmopolitan island and it is the gateway to the rest of the U.S. and British Virgin Islands. However, it is still wealthy in hidden gems and has a secluded Caribbean dream aura. First impressions are everything and St. Thomas sure does impress you upon arrival, endless care-free fun beckons. St. Thomas is the ideal island for kayaking, better yet, kayaking in the dark with LED lights which illuminate in the water. Another reward that comes with the island fantasy is the chance to interact with marine life, swimming with sea turtles is a great experience to embrace. Charlotte Amalie, the capital city on the island, has a great array of restaurants to scintillate your taste buds. St. John is the smallest of the three main U.S. Virgin Islands, and is nicknamed Love City. Its history is as rich as its profound landscapes, with carefully preserved natural beauty. Popular attractions include Pastory Gardens, Cinnamon Bay and Peace Hill Ruins. The island of St. Croix is vibrant with historic, cultural and natural attractions. It even has sugar mill plantation ruins that can be visited. Going to the beach is mandatory but be sure to make time for venturing through the island’s rich cultural diversity by embracing the arts, crafts and festivals. Compare several airlines and book your cheap flights to The Virgin Islands online at Travelstart! South Africans require a visa to travel to the Virgin Islands. You must have a return or onward ticket and the necessary documents for travel. See this useful guide on how to apply for your USA visa. The South African Embassy to the U.S Virgin Islands can be found in Washington, DC. You should be up-to-date with routine vaccines before travelling to the U.S Virgin Islands. These vaccines include measles-mumps-rubella (MMR), diphtheria-tetanus-pertussis, varicella (chickenpox), polio, and your yearly flu shot. Depending on your itinerary for the island, some travellers are also encouraged to obtain vaccines for cholera, hepatitis B, rabies and yellow fever. The Virgin Islands are a safe destination to travel. However, tourists are still encouraged to remain cautious throughout your stay in the Virgin Islands. • Do not wander through the back streets of Charlotte Amalie. • Take caution in St. Croix and the back streets of Christiansted and Frederiksted. • It is best to take a taxi home after a night out. • Do not flash your cash.